Boarding school was a special place for me. It is not what people imagine, a depository for delinquent children from well-to-do families, who have exhausted all forms of discipline and decide to place the raising of their wayward children into the hands of others. It was nothing like that. Yes, my time in boarding school was filled with structure and discipline, uniformity and conformity – but there was so much more to it. I have fond memories of boarding school, despite the obligatory bullying from the older girls, which often fell under the guise of guidance and behavior modification from my elders. I grew up in Australia, just outside Sydney. I think any family that could afford to, sent their children to boarding school. At least that is how I remembered it. It was more the norm, than the exception. I was sent off to school at the age of five. I don’t ever recall thinking it was a punishment, or a way for my parents to get me out from under their feet. I never thought that. It was more just the process of growing up, moving forward, and obtaining the best schooling possible. For me, it was an exciting time. I remember the school being a place of beauty. Set way up in the mountains of New South Wales, it sat surrounded by green pastures and sports fields, cocooned amongst a forest of graceful eucalyptus trees. 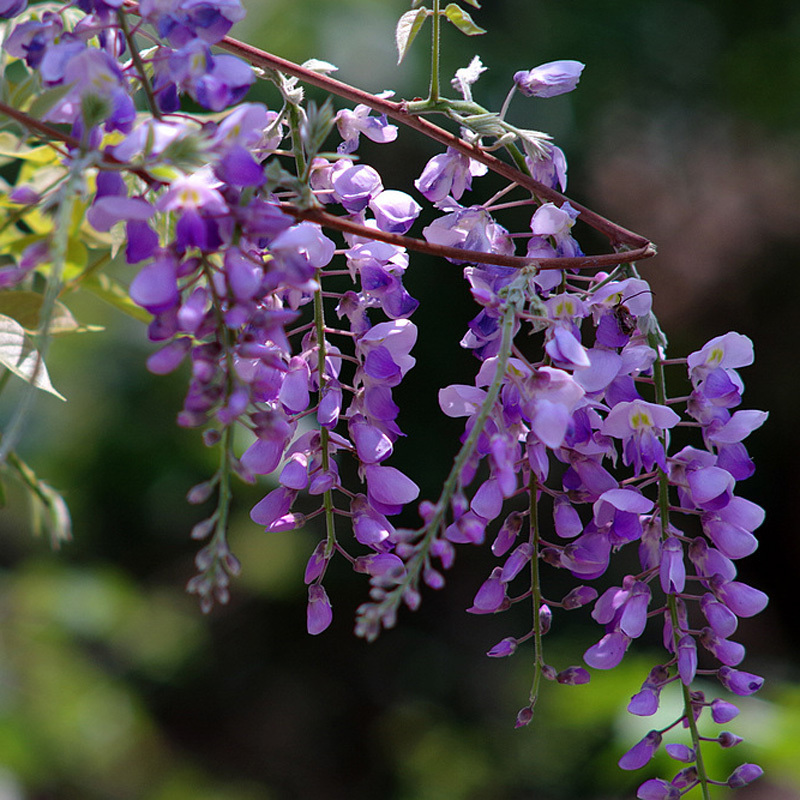 The gardens on the grounds of the school were magical, with arches of shimmering wisteria vines, wrapping their gnarled vines around the extensive garden arbors. In the spring, the delicate tendrils of lavender blossoms hung down and formed a thick ceiling of fragrance, which served as a backdrop for many games of pretending we lived in a glorious castle made of flowers. On the weekends, families would arrive to collect their daughters for outings. Those of us that were left behind for the weekends did not sit around glumly, feeling jealous or abandoned. We were kept busy with barbecues, horseback riding and exploring the grounds. Upon their return from their travels, our school mates would always bring treats, mostly dried fruits, because I don’t think we were allowed to have candy and biscuits. I think maybe the more daring of the girls, maybe the older girls snuck the illicit candy and biscuits back, but this would have made their parents accessories to their culinary crimes, so perhaps it didn’t happen often. Many of the buildings on the grounds of the boarding school were typical Australian buildings, raised up off the ground. I am assuming this was done to protect them from the monsoons, or at least that is what I thought when I was a little girl. The building in which we received our art instruction was a building such as these, raised off the ground with ample clearance beneath it. Here is where we shared the spoils of the weekend outings, beneath the art building. We entered from the behind the building, on the side where the creek ran. Underneath the art building, was our tea room. I know this might strike you as rather an odd place to have tea, perhaps replete with poisonous snakes and spiders, maybe dirty and dusty, but it wasn’t like that at all. It was quite tidy and clean. The ground under the building was rock hard and we never saw any creepy crawly things. We had an entire tea service under the there, which was neatly stored in a chest when not in use. On Monday afternoons, after our classes had finished, we all arranged to meet under the art building. The girls who had been away for the weekend, brought the spoils of their travels with them. When everyone had arrived, and had taken their seats on the hard ground, the dessert plates were ceremoniously taken from the chest and handed out. The packages of treats were laid out on a blanket in the center. The dried fruit was always wrapped in crinkly cellophane and created an enormous amount of noise when being opened. The fruit was doled out by the person who had brought them. Being the well-trained Australian girls that we were, we waited for everyone to be served before we tucked into our treats. I don’t remember ever actually having anything to drink with our fruit, but we did have teacups and saucers and these were carefully placed in front of us. 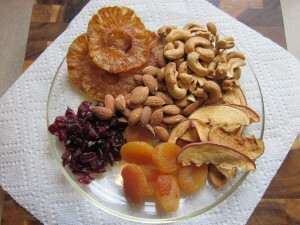 I have to say, thinking back on it now, that dried apricots were probably my most favorite of all the dried fruits. Something about the velvety texture, and the fact that the flavor, intensified the more the fruit was chewed, made them the most scrumptious of all the fruits. Because the building sat on a slight hill, there was enough clearance for us to look at out the sports field behind the building, while chewing our fruit, enjoying the flavors and each other’s silent camaraderie. In the background, we could hear the slight murmur of the creek, and the Kookaburras laughing from the gum trees in the distance. After we had all finished our tea (without any tea), and all that remained of the fruit was the crinkly cellophane packages in which they were transported, it was time to share the stories of our friends and fruit benefactors weekend travels. I remember stories of my friend Nikki, whose father was some type of Ambassador from New Guinea, she went to fancy dress balls and did all kinds of exciting things, always. Then there was Cauliflower (she was aptly named this because of her almost white blonde hair, which sat in tightly coiled curls upon her head) – she lived in Queensland and her house washed away in the monsoons one year. We all sat there, listening to her tale in horror, imagining her house being washed out to sea, just the roof being visible as it was swept to the horizon. Funny thing is, I don’t remember any of my tales of travels, I know I went out on the weekends, but I couldn’t begin to tell you where I went, and wherever it was, it certainly wasn’t anywhere as near as exciting and riveting as the tales my friends would tell. When tea time was over and it was time to leave, the empty cellophane packages were gathered up, the tea service was returned to its chest, and the blanket was folded. We would clamber out from under the building, ready for an hour or two of adventure, before it was time to get dressed for dinner. I now live in the United States, raising children of my own. They attend public schools and have done well. We are living a fairly normal, average American life – working too much, dashing around, trying to pack more into a day than is either physically possible or healthy. I sometimes feel like I have short-changed my children with this stable, rather mundane life. I wish I had the resources to provide them with some of the experiences I had as a child, because when I tell them little snippets of my life to them, they don’t seem completely capable of grasping what I have experienced because it is so far outside their paradigms. Tea time under the art building – it seems like a time so far away, but in my mind it is still so clear and such a vivid memory. I went to boarding school from age 13. I made such valuable and lifelong friendships. There is a group of 4 of use who still get together every year and are constantly in touch. This digital age has made it so easy to renew old contacts and I am pleasantly surprised how many of my cohort are in touch via Fb. I think boarding school helped me be independent and outgoing but also enforced my love of family. I am sure boarding school is not for every kid but for me it was a very positive experience. I wish I had kept in touch with my friends from boarding school. It was so long ago and they were such fascinating people, it would be interesting to see where they were today and what they were doing with their lives. I always wanted a tea set of my own. I couldn’t begin to tell you where the tea set under the art building came from! Maybe it was left by other girls! 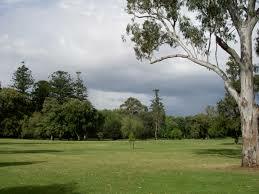 I really enjoyed reading what it was like growing up in Australia at a boarding school. I grew up much like your boys, so it’s fascinating to me to learn of a different culture. You did a beautiful job of describing the place. You gave me a very pleasant vision of what it looked like. When I misbehaved or got a bad grade, my parents used to threaten to send me to Catholic school. OMG, my friends were all at the public school where I attended. You better believe I straightened out immediately. The thought of Catholic school gave me the shivers with rumors of rogue nuns who whipped even the best of students. Public schools here don’t always have the best education for kids learning and growing. Thankfully, I grew up in a pretty good school district. When was it that you moved to the US? I thought I remembered you saying you spent some of your childhood in Chicago. I was in Australia and then went back to go to boarding school once we moved to Chicago. Someday, I will go back. It calls to me!!!! I remember one time I fell in the creek after climbing out from under the building (I seemed to spend a lot of time falling into bodies of water when I was a little girl). I was completely covered in mud and for my punishment I was sent to bed without dinner (after I was scrubbed from head to toe). I laid in that bed, all by myself, in the long dormitory, with two line of beds up against the walls. I must have looked really pathetic because the Matron took pity on me and brought me tea and toast. And if I remember correctly, she was kind of a stern, scary lady. I really enjoyed your little memory that you kindly shared with us. What fun tea parties you had! Thank-you Solveig – I am surprised that the school personnel allowed us to have those tea parties under the house, but I remember they gave us a lot of freedom, to explore and have fun. Maybe, also it was a long time ago and it seems like people were not so fanatical about protecting children and allowed them to explore and have fun and do kid stuff. Now kids don’t seem to be able to do anything, everyone is so worried about dirt and germs and kids are slathered in anti-bacterial gel and protected so much they cannot do anything like we used to when we were young. Can you imagine letting your child clamber under a house in Australia (a country that is known for having some of the deadliest snakes and spiders)? I am not sure I would be comfortable with that as a parent but I don’t think we even thought about any of that. I guess he prospect of poisonous snakes and spiders would make me think more than twice. I guess it’s a question of parenting mindset. My mom was always very cool and she is with my daughter. Now as my mother in law was over I saw how overly worried other people can be (she claims all grandmothers are like that). Maybe in your school they were so used to kids and had a trust in their natural senses that it was ok. I guess nowadays people have less kids and worry more. But as a teacher of a boarding school you have a lot of kids! Good point. I just think some parents worry too much about stuff. I know I did when the kids were little. I would have all these visions of things that could go wrong, but in the end you have to loosen the ties and let them learn for themselves, because one way or another kids will be kids. Of course that was back when people didn’t have car seats or seatbelts or caps for the electrical outlets or padding for the corners of the coffee tables. and kids learned to watch out for dangers at an earlier age. Now we try to keep the in a padded cocoon but at some point the kids have to learn how to protect themselves. But yet we arm them with a portal to an entire world of dangers and let them do whatever (ie. the Internet, cell phones, social media). It is a funny world we live in. You are about to write another post on all of this here… My daughter is almost 21 months old and is already an avid climber. A few days ago she discovered the joys of climbing to take the slide in the playground, I helped her for the first time and now she does it on her own (I am at a security distance, not too close because parents who stand too close are probably the worst danger), and I see a lot of kids who are older that aren’t as daring. I remember when my kids first started going everywhere on their bikes by themselves. I would panic when they told me they were having to cross huge streets. They would say to me, “Don’t worry, we know what to do – you showed us, we are careful.” I just had to take a big breath and let them do it, hoping and praying that everything would be okay. And it was. Can you imagine what kind of panic (silent) I went through, the first time they told me they wanted to drive to Los Angeles by themselves? But they did great with that. (But silently I was so relieved and happy when I saw them drive up into the driveway upon their return). I know that my mom was something rather worried, when for example I took too much time to walk home because I would talk with a friend or something like that. In Germany I took my bike to school once I was 9 years old and did that for 2 years, riding on busy streets and using large crossings etc. Then I arrived in the US and was told that I shall not take my bike as it was dangerous especially due to a big street (with traffic lights) that I would have to cross. Well the crossing was by far less dangerous and the streets were a lot less frequented by cars than in Germany. Well for 3 years I took the bus, except for 2 or three times when my parents had me stay at a friends house and I didn’t know what bus to take (I needed a bus pass to take a bus that was not mine which I did not have as my parents couldn’t fill out any papers not being around). I hope that I won’t worry too much, I will worry, and already do. I think all moms do but the rationale behind it is of various strengths. You’ve led such an interesting life. Thanks for sharing this. It is hard for me to imagine–it sounds like something out of a British movie I watched as a kid. Oh and this is just the beginning, just such a little tale out of a much bigger story. Wait for the next book!!!! It was interesting to read about your schooldays in Australia. Dried fruit sounds quite nice and pretty healthy, but more importantly, was there Vegemite? Yumm!!! No Vegemite under the Art Building. But I do love my Vegemite (or Marmite) with butter and toast, even now. Have a jar of Vegemite in the cabinet. And tasty!!!!!! Used to eat it by the teaspoon when no one was looking!!! I used to do the same thing with cod liver oil, believe it or not! Ooooo – I thought that stuff was horrible. Doesn’t it give you a good run for your money? It has that reputation. My mother used to give my brother and I a spoonful of malt and one of cod liver oil every morning. I hated malt and my brother hated cod liver oil, so we swapped spoons while my mother wasn’t looking. Oh boy!!! Every single morning. I bet you guys had some clean insides!!!! I am told that there is a gravestone over in England that says “I died for a want of a fart.” At least you will never have to worry about that!!!! That’s a mighty impressive epitaph, although not one I’d like to have. ooh I like the smiley sandwich even better!!!! Now if it was a smiley samich with vegemite, that would be the ticket!!! !